Samsung Galaxy J7 is a Dual Micro SIM (dual stand-by) smartphone that runs on Android OS, v5.1 Lollipop. The device is powered by Lithium-Ion Battery 3000 mAh battery,Up to 76 hrs battery. Under the hood, it features a Qualcomm MSM8939 Snapdragon 615Exynos 7580. It has 16 GB, 1.5 GB RAM internal storage which can be expanded up to Upto 128 GB (microSD). The device has a 5.5 inches with a resolution of 720 x 1280 pixels (~267 ppi pixel density). It comes with a 13 MP, 4128 x 3096 pixels, autofocus, LED flash, primary camera. 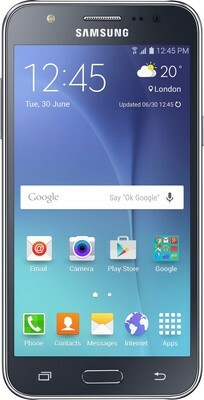 Samsung Galaxy J7 (SM-J700F) price in India is Rs.11600. 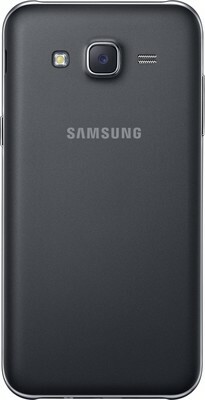 The best Lowest Price of the Samsung Galaxy J7 (SM-J700F) is Rs.11600 at amazon Online Store. The price list updated on 20th April 2019. This item is currently available on 4 online stores. Product is available from sellers for purchase in various cities including Chennai, Coimbatore, Bangalore, Ahmedabad, New Delhi, Mumbai, Hyderabad, Pune, Kolkata , Gurgaon etc..
Buy this product from anywhere in India. Use your pincode in the store for the Cash On Delivery (COD) Option and other offers.